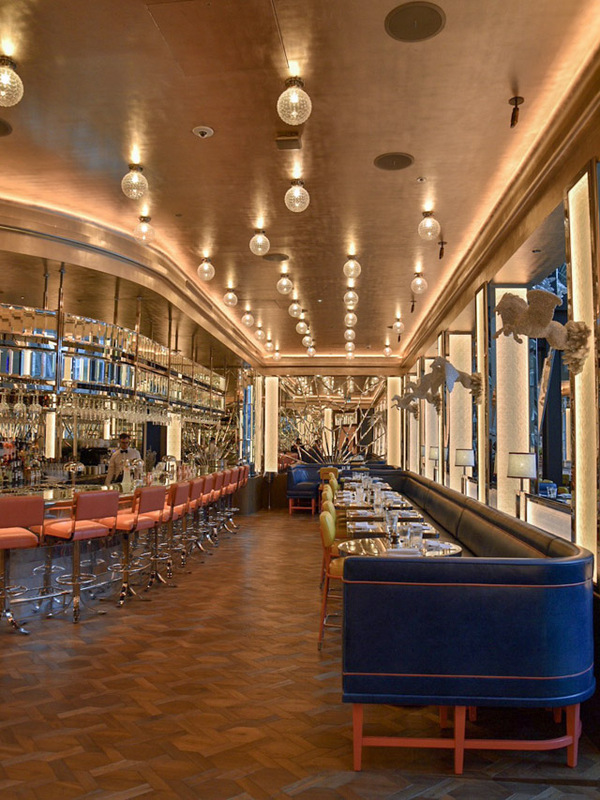 If you are looking for the wow factor in your next London restaurant outing, allow me to introduce you to the newly opened Brasserie of Light. 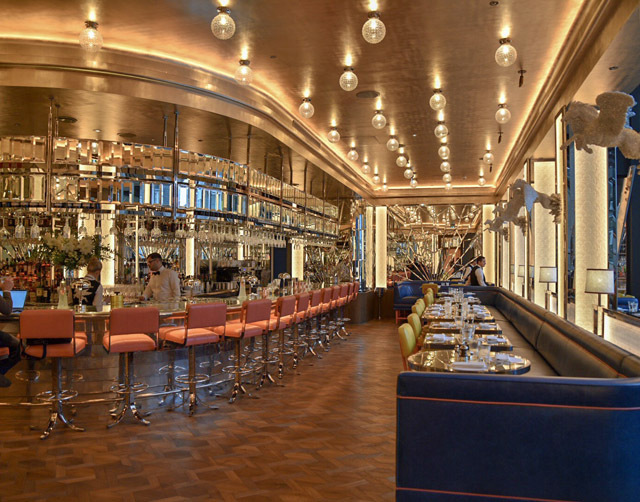 Located in Selfridges, this particular dining room has a rather unique feature. 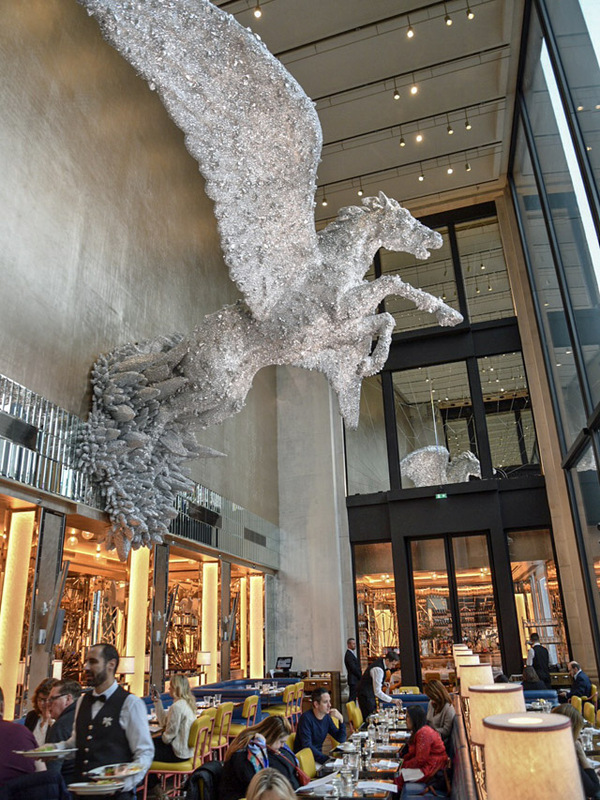 In the double height main dining room, a 24 foot crystal encrusted Pegasus by Damien Hirst flies above diners as they enjoy everything from pancakes to spaghetti, depending on the hour of the day you are ordering of course. 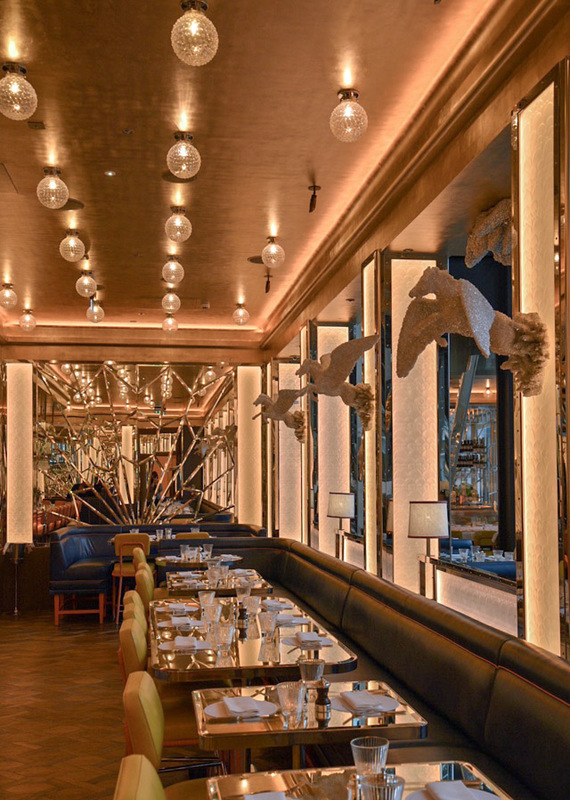 Everywhere you turn in Brasserie of Light, you'll discover another fun interior detail. The art deco inspired space is truly a sight to behold and has already seen the creme de la cream lining up at its doors. For my first visit, and trust me when I say there will be many more, I was trying their breakfast on for size. 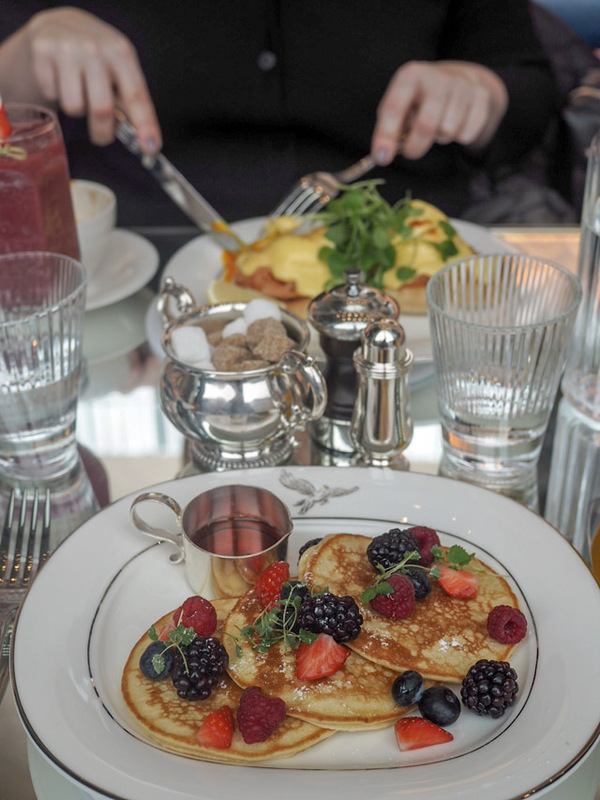 I can confirm the pancakes are fabulous. The iced coffee is perfectly punchy. 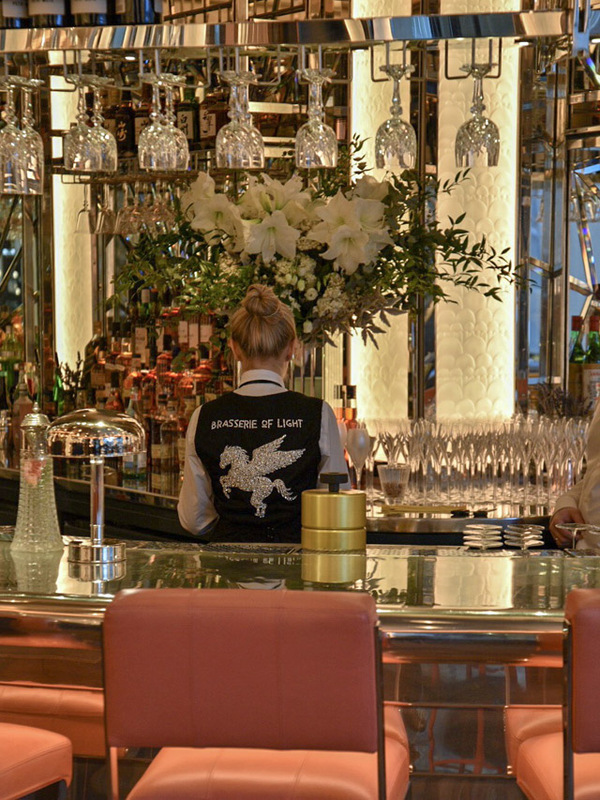 Oh, and the wait staff are truly on another level in aiming to deliver service with a smile. But, you will find yourself continually looking up or out. 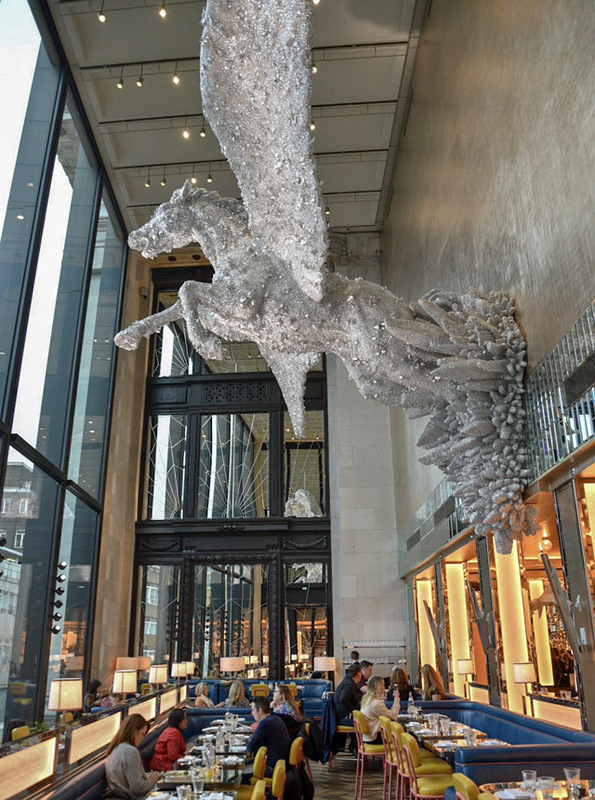 Damien Hirst's Pegasus is situated in a way that it looks like it could, at any minute, actually fly out of the floor to ceiling glass wall in front of it. In fact, you almost expect him to! Now, a few bits of housekeeping here. First of all, many think that a restaurant in store can be a terrible idea. Selfridges have aced this. You don't feel as if you are in Selfridges at all. This might as well exist in a different universe. So don't worry about that. 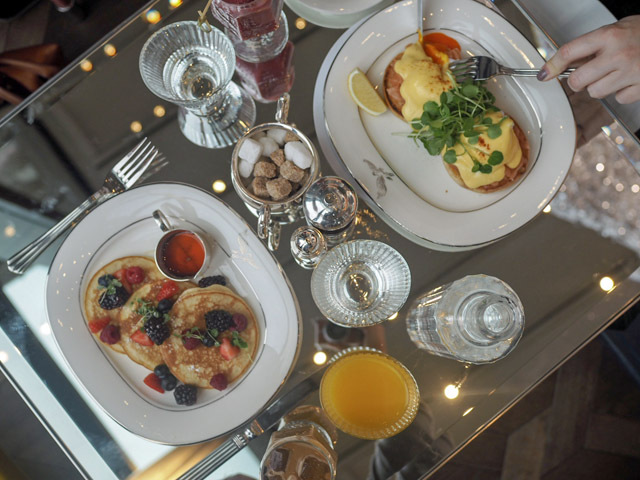 However, there is easy access to the corresponding floor of the shop, should you wish to jump straight from meal into further money spending. Whatever you do, ladies, don't miss a chance to pop into the ladies' toilets. I won't ruin the surprise. I'll just say it's a pink dream! Men, I have heard through the grapevine that your toilets aren't anywhere near as fun. Sorry! I guess they just assumed you aren't into bathroom selfies as much as us ladies are these days.